“And the men of Kiriath-Jearim came and took up the ark of the LORD and brought it to the house of Abinadab on the hill. And they consecrated his son Eleazar to have charge of the ark of the LORD. From the day that the ark was lodged at Kiriath-Jearim, a long time passed, some twenty years, and all the house of Israel lamented after the LORD” (1 SAMUEL 7: 1-2). Kiriat Ye’arim (Hebrew: Town of the Forests) was one of the four cities of the people of Gibeon (12th-11th centuries BCE). Later it became one of the cities of the Tribe of Benjamin. Situated on top of one of the highest hills west of Jerusalem (756 m, 2500 ft above sea level), is the ancient tel of biblical Kiriat Ye’arim. It was probably a sacred town, whose origins may have dated back before the story of the Holy Ark, as told above. In one of the many battles between the Israelites and the Philistines, the former were defeated and lost the Holy Ark. When the Ark was installed in a Philistine temple, God took revenge on the Philistines until they returned the Holy Ark to its legal owners. This is how the Ark arrived in Kiriat Ye’arim. Many years later, it was King David who moved the Ark to his new capital of Jerusalem that he named the City of David. This story starts with a young girl, Josephine Rumebe, who decided at the age of 18 to move to the Holy Land all by herself. 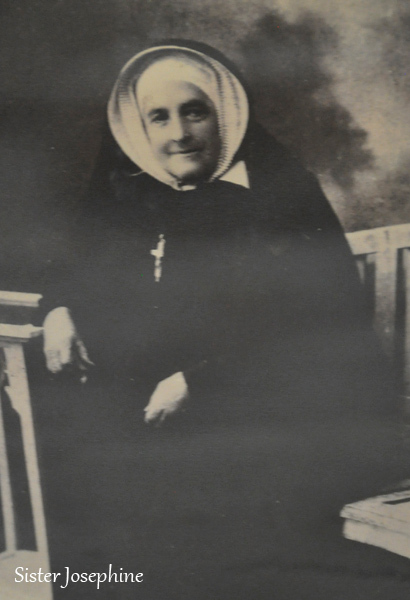 The year was 1868, and she arrived as a nun. 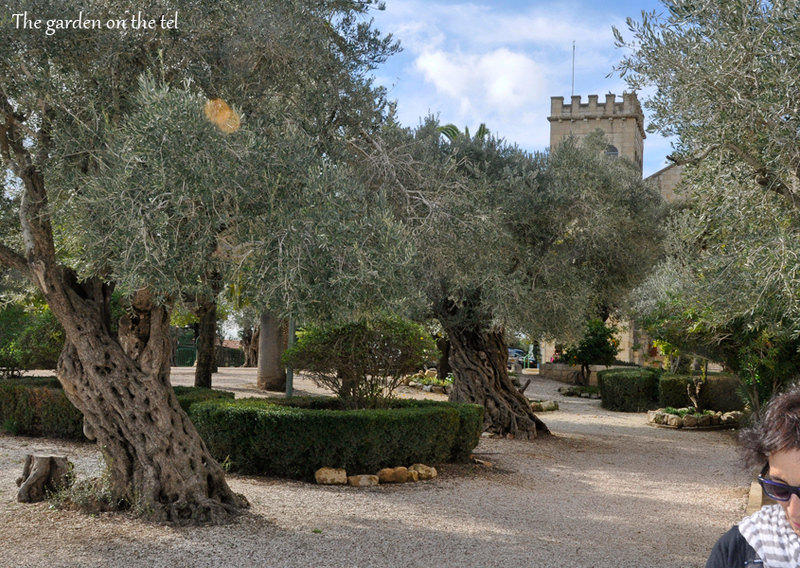 She learned the secrets of herbal medicine, and treated many people in the French hospital in Jerusalem, as well as people in the Arab villages. Josephine was also the force behind the construction of hospitals and monasteries. 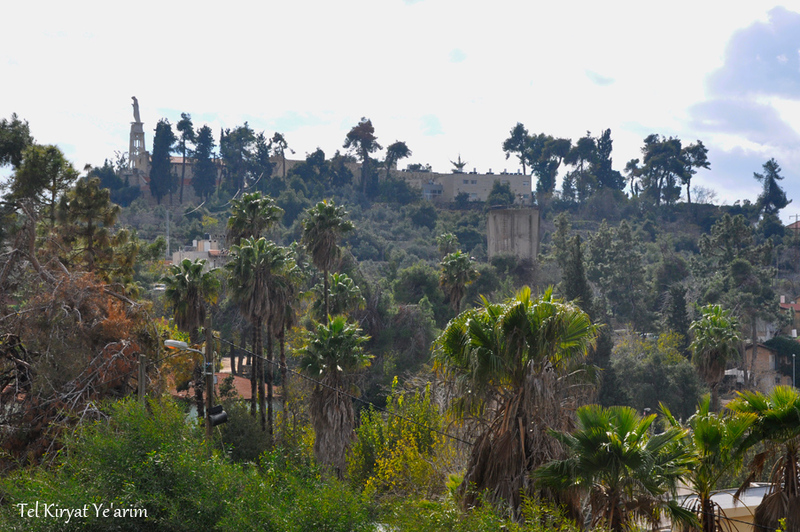 In 1903, when the archaeological remains of a Byzantine church were found on the tel, Josephine conducted the negotiations for its purchase, for the purpose of building a church and a monastery at the top of the tel. The price was 20,000 golden francs, but Sister Josephine had only 5,000 francs. One day she opened the bag in which she kept the money, and a miracle occurred – she found 20,000 francs in the bag! 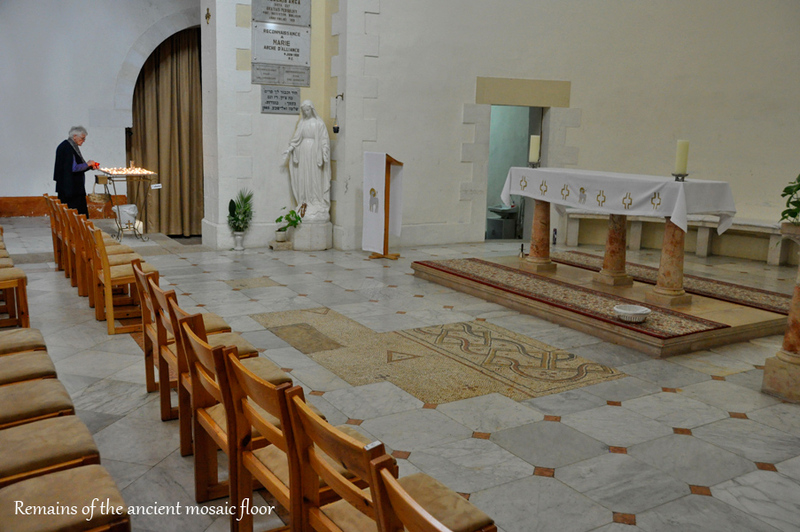 The land was purchased, the ancient church was excavated, and a new one was built in its place, which incorporated the ruins of the ancient church. 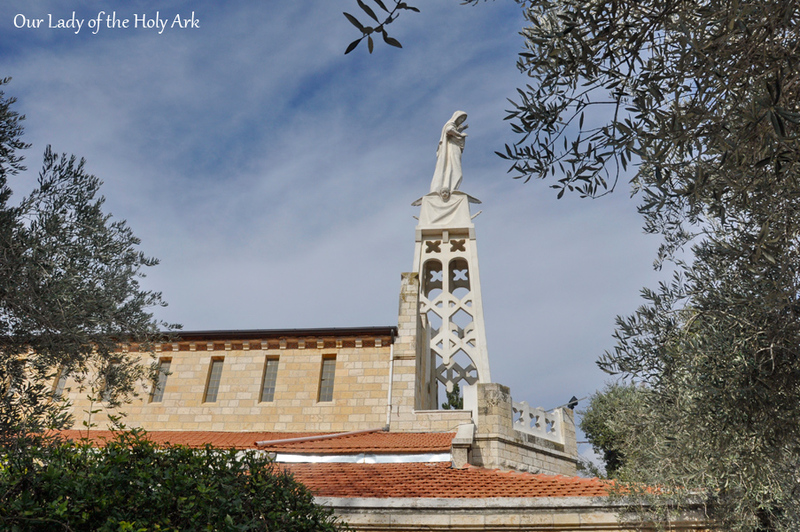 It was given the name, Our Lady of the Holy Ark. The sculpture of the Lady can be seen on top of the building from a great distance. A monastery and guest house were built there, as well. 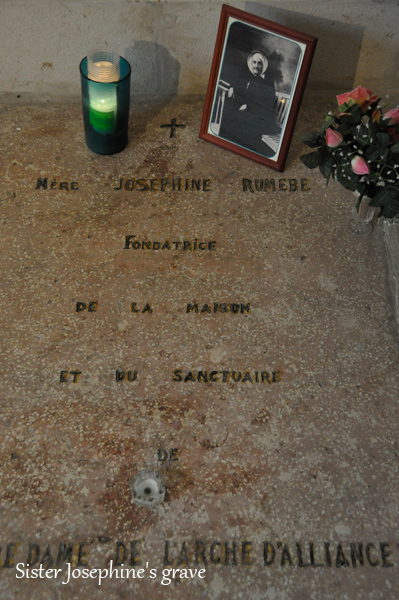 Sister Josephine died in 1927, and was buried in her church. 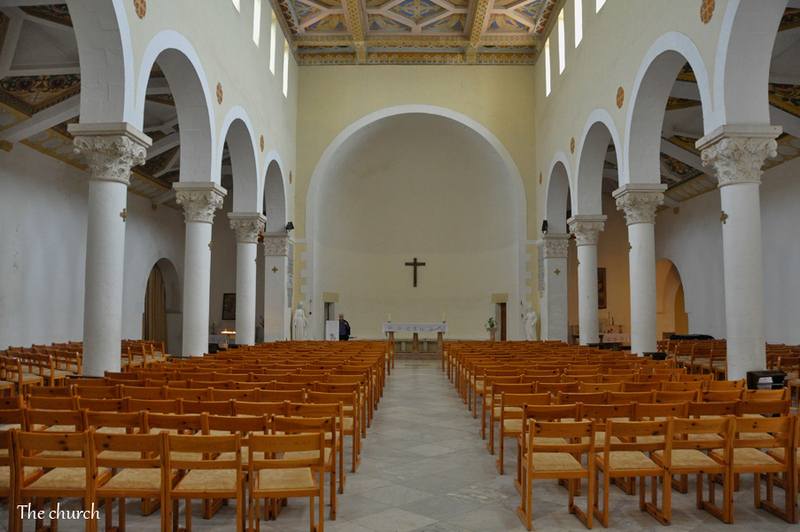 Today, the site is still maintained as a sisters’ convent, but its fame comes from the music festival that is held twice a year, both here and in nearby Abu Ghosh.